Ampersand Scratchbord tools can be used to create texture, add fine details, erase, create tonal values, cross hatch and more. 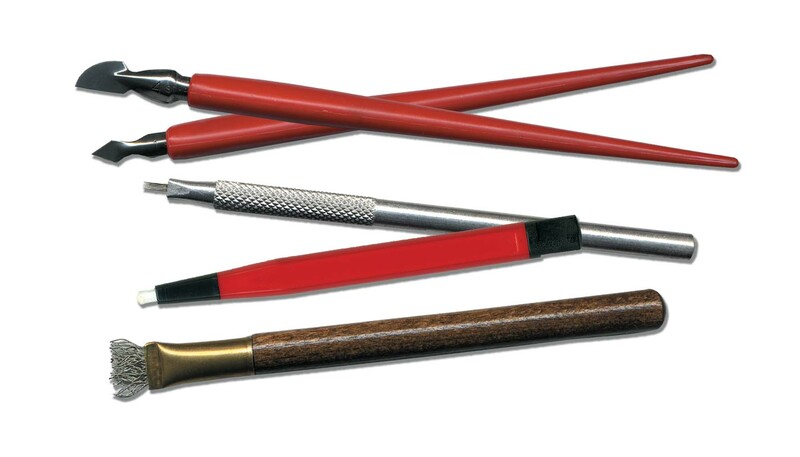 The tools are available as individual items or in a set. The tools can be used with both Ampersands Scratchbord and Claybord. Ampersands scratchbord inks have been formulated for adding colour to scratchboard. These terrific inks create vibrant colours without leaving an inky residue on black areas. Ink set includes 6 x 0.5 oz. bottles in Carmine Red, Yellow, Light Green, Ultramarine Blue, Sepia and Black Repair. Not sold individually.